Summer 2019 Applications are Open! Just announced: our next Global Leadership Program will take place in Tamale, Ghana from May 28 to June 18, 2019. We will not be running a program this winter, in order to allow our team to focus on opening more water treatment businesses. Your next opportunity to pitch in will be Summer 2019. Description: Come join a scrappy team on a mission to get the cleanest water to the poorest people. 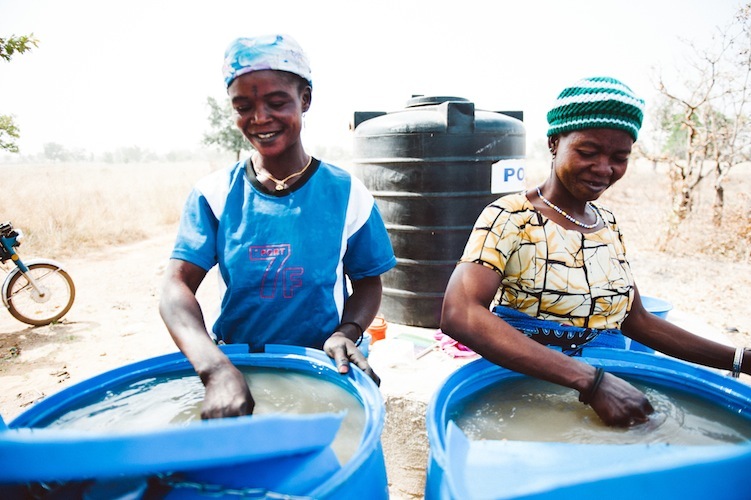 Since 2008, our three-week Global Leadership Program has trained hundreds of volunteer Field Representatives to help us launch women-owned businesses that provide clean water to an entire rural community in northern Ghana. If you’re passionate about clean water, global health & community-centered solutions, we can give you the training and support you need to get clean water to hundreds of people currently doing without. *covers all in-county expenses, including water treatment business materials, food and lodging but not the flight to Ghana. Most Field Reps cover this fee through fundraising, grants, or scholarships, which we’d be happy to discuss with interested folks! Questions? Check out our FAQs or email us. We can’t wait to meet you.